As the world celebrates Ellington's birthday, we look back on his openly gay pianist, composer, and friend Billy Strayhorn. You've likely never heard Strayhorn's voice, but you've heard his work: From the early 1940s to his death in 1967, the composer, arranger, and pianist helped Duke Ellington craft his greatest hits, including "Chelsea Bridge" and "Take The 'A' Train." Strayhorn was born in 1915 in Dayton, Ohio. One of the very few openly gay jazzmen of his (or any) time, he studied at the Pittsburgh Music Institute, and, while still in his teens, began composing the songs "Something to Live For" and "Life Is Lonely", later renamed "Lush Life", which opens with the line "I used to visit all the very gay places." Though the word "gay" had a different meaning at the time, sexual freedom and personal individuality were a big part of jazz music. Some blues women already alluded to homosexual love in their songs, and Strayhorn's own lyrics reflected his passions, always in a nuanced and poetic way. "It's major to know that Strayhorn wrote 'Lush Life' as a prolifically gifted, gay black male teenager living in Jim Crow America," says Candice Hoyes, a soprano jazz singer who recently released her debut album, On a Turquoise Cloud, a compilation of rare Duke Ellington songs that includes two Strayhorn compositions. "Everyone marvels at how wise beyond his years, how introspective the melody and words are. But when you consider his work, you get it." Strayhorn met Ellington in December 1938, when the musician and his band performed in Pittsburgh. 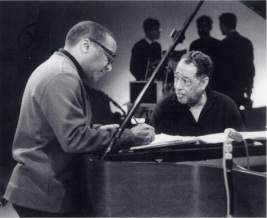 After the show, Strayhorn got Ellington's attention by telling him how he would have re-arranged his songs --and then, he proceeded to show him. Impressed by the young man's skills, Ellington invited Strayhorn to meet the band again in New York. It marked the beginning of a collaboration that spanned three decades. "Strayhorn and Ellington had a soul connection," Hoyes says. "Strayhorn's musical genius with melody, lyrics, and his classical training, all combined with Ellington's assertiveness and vision to make some perfect music." Ellington was particularly fond of Strayhorn, referring to his acolyte as “my right arm, my left arm, all the eyes in the back of my head, my brain waves in his head, and his in mine.” Ellington was also a father figure for him: Strayhorn's own father was abusive, and Ellington saw and embraced his genius early on, when Strayhorn was only 23. Among his friends in the New York jazz scene, Strayhorn had the most influence on singer Lena Horne, who wanted to marry him and considered him to be the love of her life. 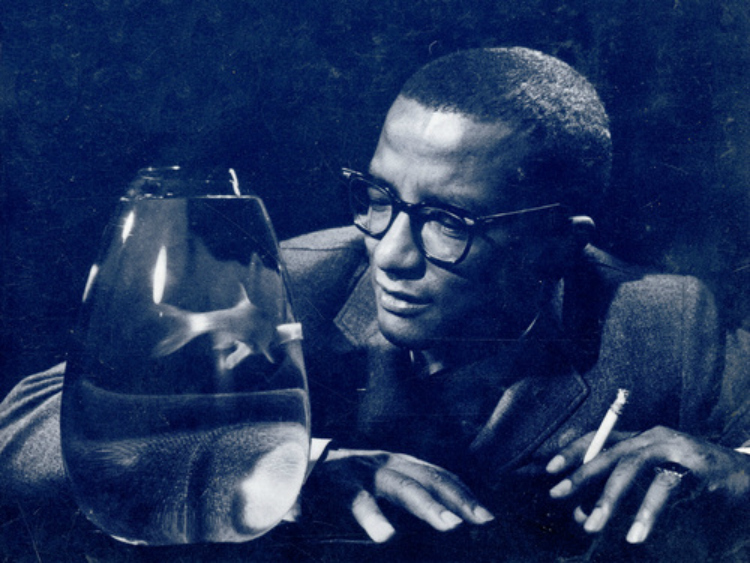 Strayhorn used his classical background to improve Horne's singing technique, and they eventually recorded songs together, but, to Horne's dismay, Strayhorn was in a committed ten-year relationship with Aaron Bridgers, a jazz pianist who eventually moved to Paris (alone) in 1947. In the 1950s, Strayhorn left Ellington to pursue a solo career, coming out with a few albums and revues. He was also a champion of civil rights: An ally to Martin Luther King, Jr., Strayhorn wrote activist compositions that honored King and his movement, including "King Fit the Battle of Alabama" for the Ellington Orchestra, which was part of the historical revue (and album) My People, released in 1963 and dedicated to King. A few months before King's assassination, Strayhorn died from esophageal cancer, at 51. He was in the company of Bill Grove, then his partner of three years. Devastated after hearing the news, Ellington recorded a memorial album, And His Mother Called Him Bill, which included Strayhorn's beautiful piano balad "Thank You For Everything", also known as "Lotus Blossom." Ellington performed the song alone while the rest of his band was packing up, leaving him to reminisce about his creative soul mate, and the timeless music they made together. For more information on Billy Strayhorn, go to BillyStrayhorn.com.